Regardless of what transportation means you are going to use you will undoubtedly experience an interesting sea journey to Hvar island. When you see the city of Hvar and start enjoying its benefits you will know that your journey has paid off. 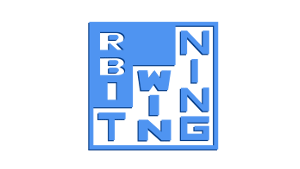 The closest international airport is Split Kaštela Airport, from where you can take a bus or a taxi, or rent a car to Split Main Bus Station, which is within walking distance to Split port from where you need to travel by catamaran or ferry (if you are arriving by car) to Hvar. Buses drive from SPLIT Kaštela Airport to SPLIT Main Bus Station (platform No.1). Split Main Bus Station is directly adjacent to the Split port, so it is easy to continue your journey to Hvar. The departure of the bus from Split Kaštela Airport is in front of the airport main entrance. The final stop of this bus is the Split Main Bus Station. Split airport is very small, so you will not miss it. Tickets can be bought on the bus, inside the airport building, or in the Split Main Bus Station (for the journey back). You will need Croatian currency, the Croatian kuna (HRK), in order to buy the ticket. There is an exchange office in the airport building. One-way ticket costs 30,00 HRK. Travel time is half an hour. 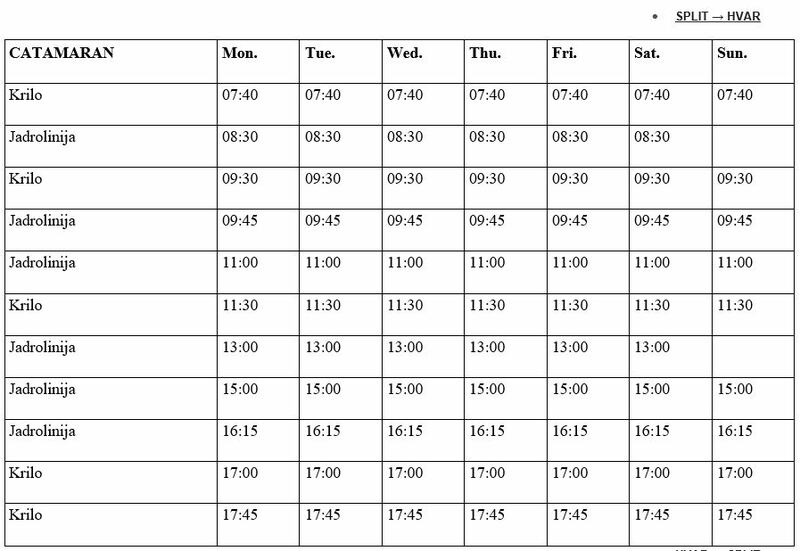 Taxi is available during Split Kaštela Airport operating hours. In order to travel from Split port to Hvar we recommend the catamaran (1 hour) or the ferry (2 hours – for those who arrive by car). Price of one-way catamaran ticket is 100 HRK, while the ferry price for one car is 318 HRK plus 47 HRK per person. 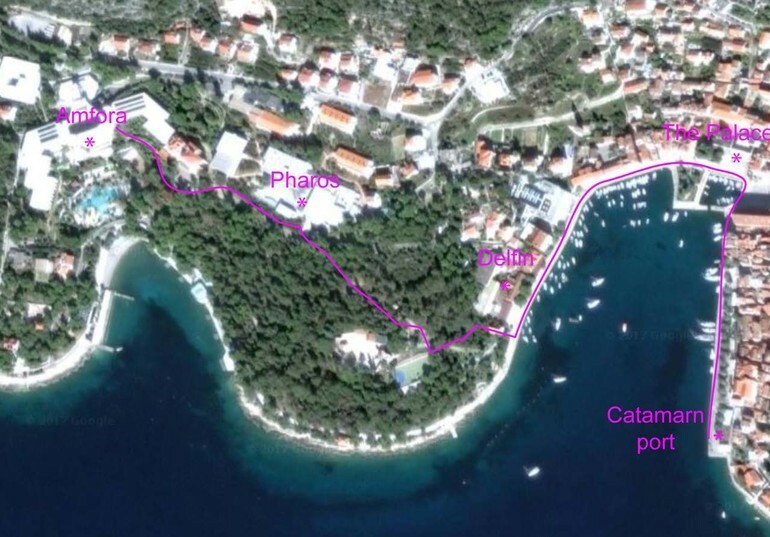 The Catamaran stops in Hvar, very close to the venue, while the ferry stops in Stari Grad, approximately 19 km from the venue. Regarding your arrival to Hvar by catamaran / ferry from Split port we would like to advise you to book your catamaran (or ferry, if you travel by car) ride as soon as possible. The conference is taking place during the high season and the catamaran / ferry line Split-Hvar is a very popular and busy line. In order to avoid long queues on a hot weather and to avoid any chance to miss your catamaran ride, please book it on time. 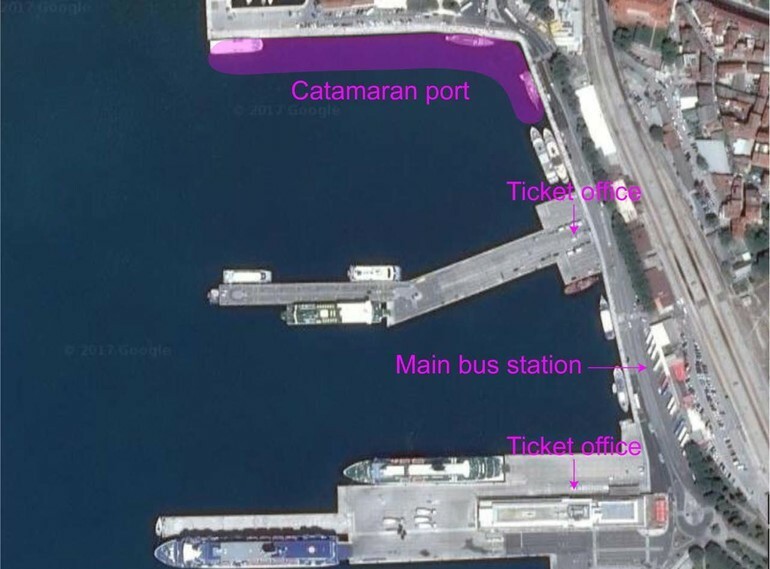 You can see the map of the Split port below, with the location of the bus station, the catamaran ticket office, and both the catamaran and the ferry ports, all within walking distance. When you arrive to Hvar, whether by catamaran, or by ferry, there will be a trolley waiting to take your bags to the hotel, while you take a pleasant walk (it takes 15 min – see Map of the city of Hvar at the end of page). 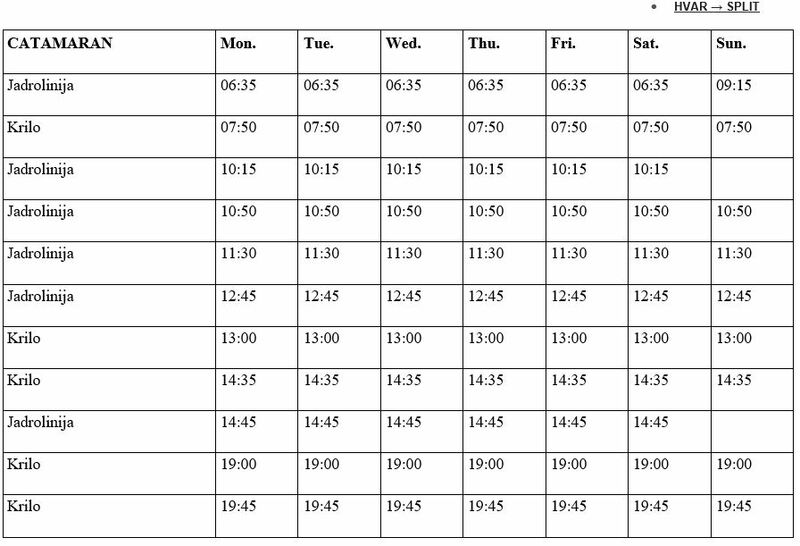 TIMETABLE SEASON FROM 03.09.2018. to 30.09.2018.